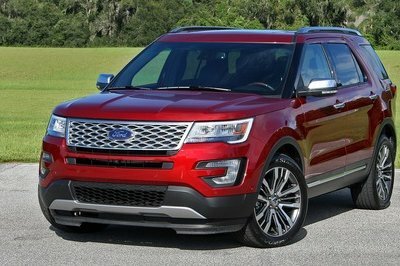 Note: 2020 Ford Kuga pictured on the left, 2019 Ford Focus pictured on the right. 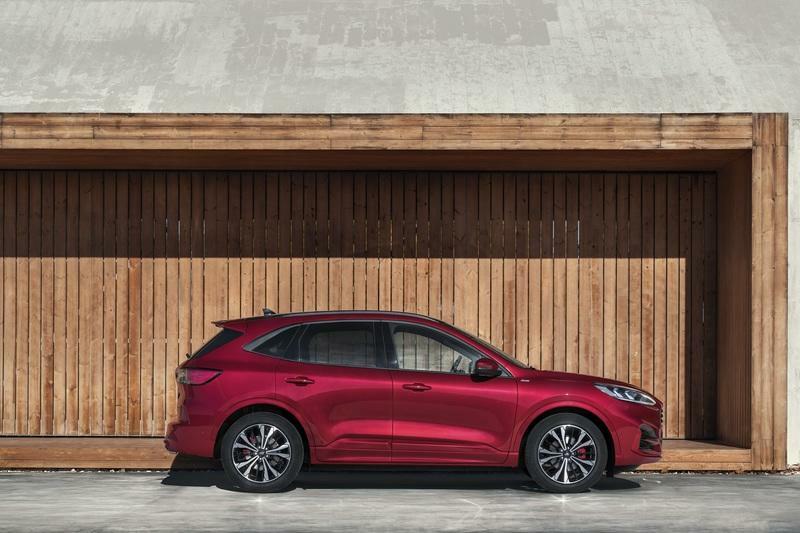 To help the new crossover standout from the outgoing model, the 2020 Ford Kuga’s updates start with new exterior styling. 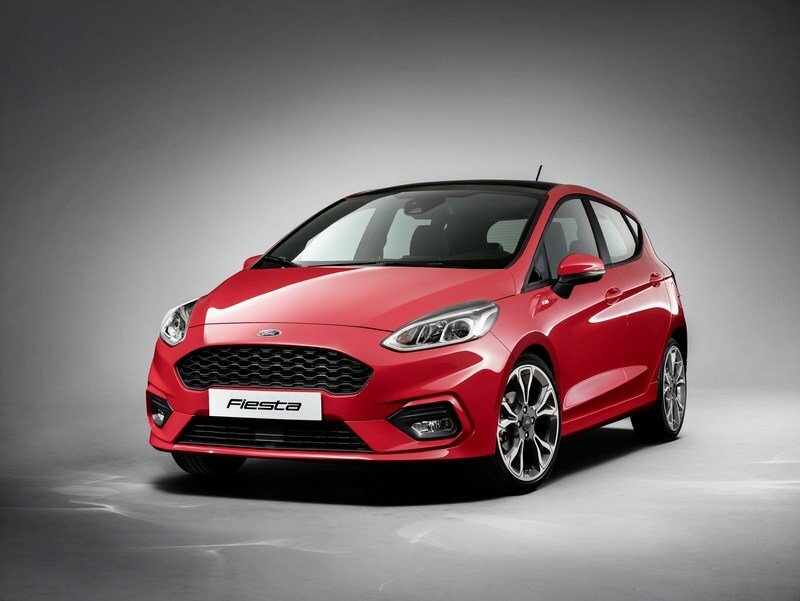 The front end closely resembles that of the Ford Focus and Ford Fiesta, which makes sense given Ford’s desire to keep a consistent brand image across its three most-popular products. However, behind the a-pillars, the Kuga looks much more like an SUV. The roofline, the window line, and the stance are beefy and rugged, blessing the Kuga with the right personality for the segment. The fresh aesthetic is enhanced by a longer hood, a more steeply raked windshield, and a lower roofline. You’ll have also have twelve exterior colors to choose from. Seventeen-inch wheels are standard across the line. The exterior dimensions are bigger as well, with the width increased by 44 mm (1.7 inches), the overall length increased by 89 mm (3.5 inches), and the wheelbase lengthened by 20 mm (0.8 inches). Not only do the bigger dimensions help the Kuga look the part of an SUV, but they provide more space inside as well. This includes an additional 20 mm (0.8 inches) in shoulder room front and back, as well as 57 mm (2.2 inches) more hip room up front and 36 mm (1.4 inches) more hip room in the rear. There’s also 13 mm (0.5 inches) more headroom in front and 35 mm (1.4 inches) more headroom in the rear. Infotainment gear is also critical to this segment, so with that in mind, Ford stuffed the 2020 Kuga with as many tech features as possible. 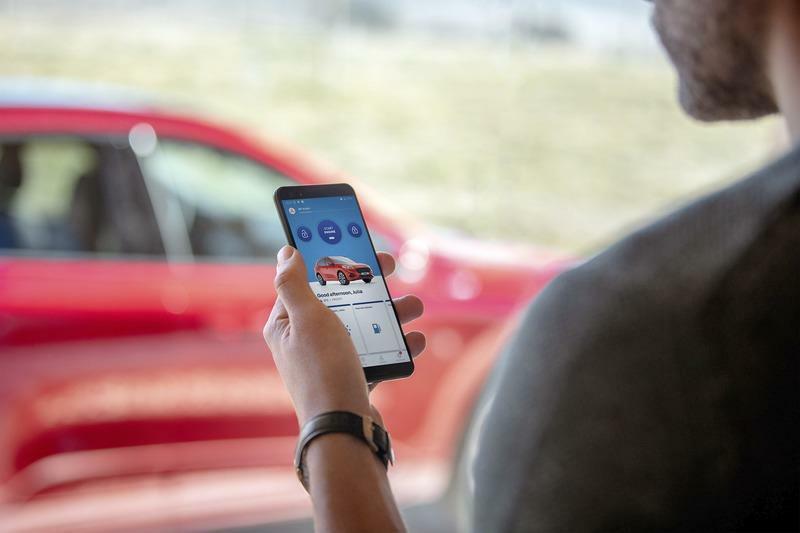 That includes a number of remote features available through Ford’s smartphone app, including remote door lock/unlock, a vehicle status checker, and a vehicle locator. Keeping your devices topped off is a wireless device charging pad. 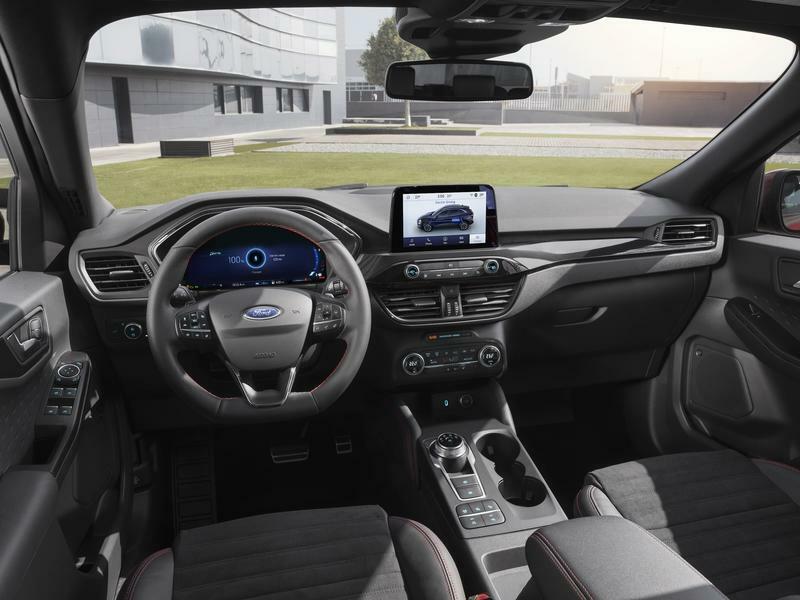 As for comfort, the 2020 Ford Kuga is now offered with heated outer seats in the rear. Cloth upholstery is standard, while leather is optional. 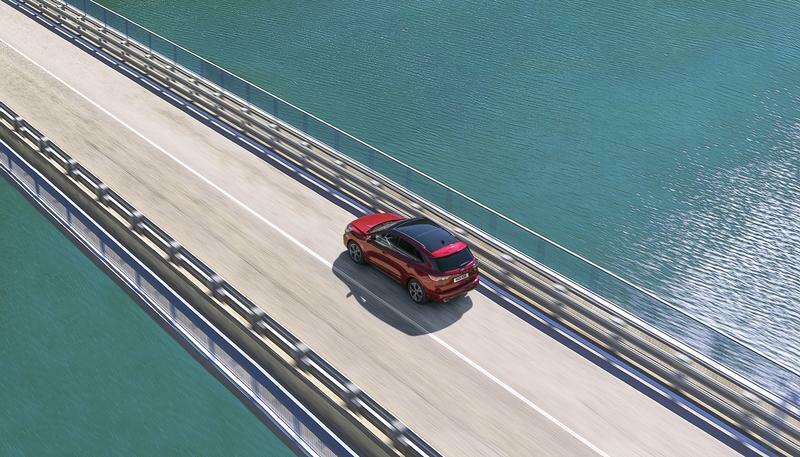 On the practicality front, the Kuga comes with a nifty slide feature for the second row. This provides as much as 1,035 mm (40.7 inches) of rear legroom when moved towards the rear. 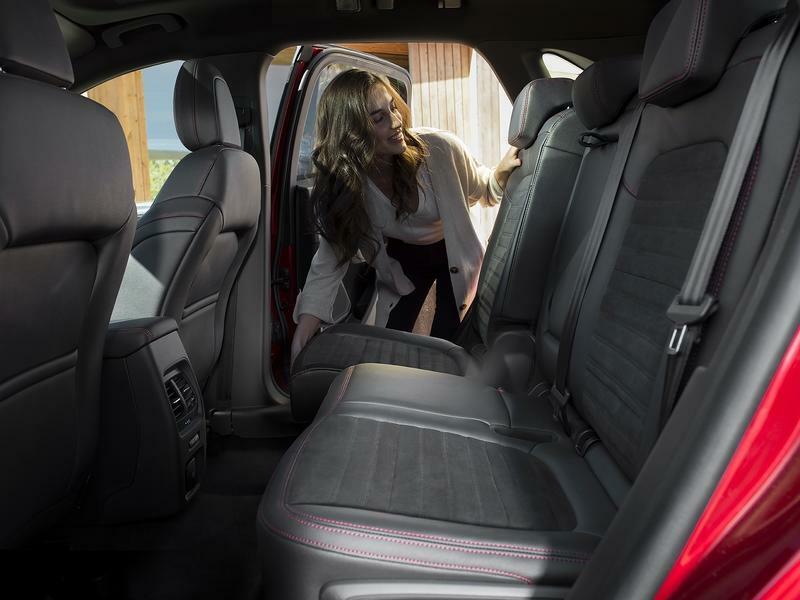 Move the rear seat forward, and you’ll get an extra 67 liters (2.3 cubic-feet) of cargo room, accessible via a hands-free tailgate access feature. No word on exact cargo space figures as of this writing, but for reference, the outgoing model offers 442 liters (15.6 cubic-feet) behind the rear seat, which is a little less than the 503 liters (17.8 cubic-feet) offered by the Kia Sportage, the 520 liters (18.3 cubic-feet) offered by Peugeot 3008, and the 615 liters (21.7 cubic-feet) offered by the VW Tiguan. 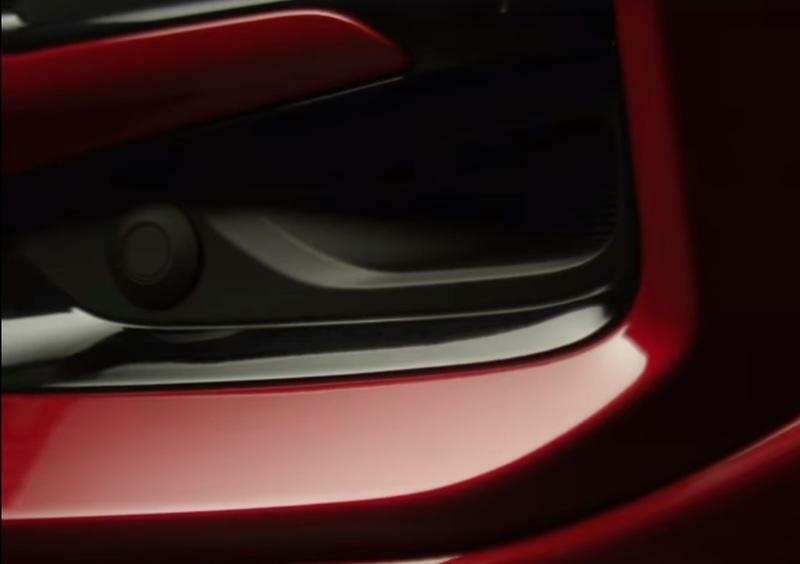 However, the sliding rear bench obviously helps to even the odds a little bit heading into the 2020 model year. What’s more, once you put the seats down, the outgoing Kuga offers as much as 1,928 liters (68.1 cubic-feet) of space, besting the Sportage (1,492 liters, 52.7 cubic-feet), the 3008 (1,580 liters, 55.8 cubic-feet), and the Tiguan (1,655 liters, 58.4 cubic-feet). Electrified Powertrains For The Win? The 2020 Ford Kuga is offered with a huge number of powertrain options, many of which get some sort of electrified assistance. And it makes sense when you consider the industry’s growing emphasis on hybrid powertrains and greater fuel economy in general - apparently Ford got the memo. As such, the 2020 Kuga is offered with three flavors of hybridization - a plug-in model, a “mild” hybrid, and a standard hybrid. Both petrol and diesel internal combustion provide the underlying platform. 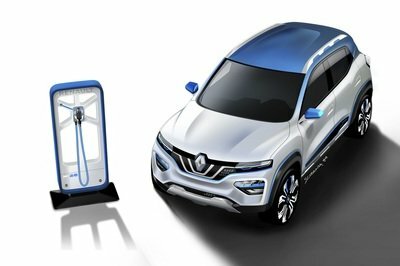 Let’s start with the plug-In Hybrid models, which come with a 2.5-liter four-cylinder petrol engine mated to an electric motor and 14.4-kWh lithium-ion battery pack. This is Ford’s first PHEV for the European market, and it offers all the benefits you’d expect, including sizable output, peaking at a rated 222 horsepower, plus extra all-electric range on demand, with up to 50 km, or 31 miles. The 2020 Ford Kuga PHEV uses regenerative braking to charge the pack, while a 230-volt source will replenish the charge in about 4 hours. Up next is the EcoBlue Hybrid, which comes with a 2.0-liter EcoBlue diesel engine making 148 horsepower. On the hybrid side of the equation is a belt-driven starter/generator pack, which replaces the alternator. 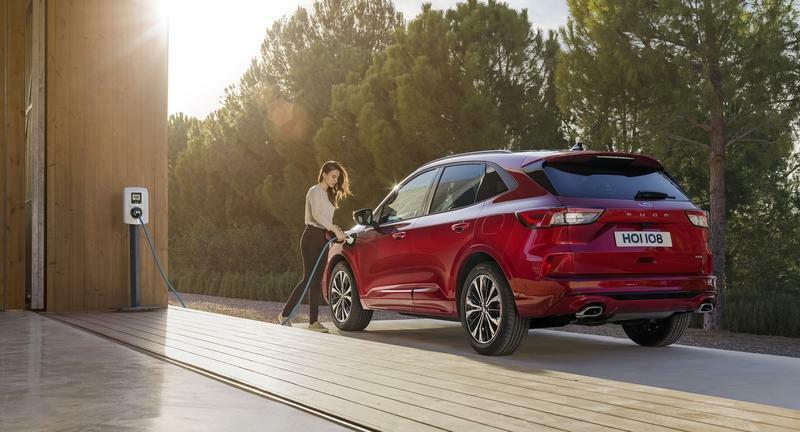 Driven by a 48-volt lithium-ion battery pack, the setup is considered a “mild hybrid,” with low levels of torque assistance for the engine, as well as juice for the various engine ancillary systems. Front-wheel drive is standard, while all-wheel drive is optional. Finally, there’s the Kuga Full Hybrid, which comes equipped with a 2.5-liter gas engine, an electric motor, a generator unit, and a lithium-ion battery. 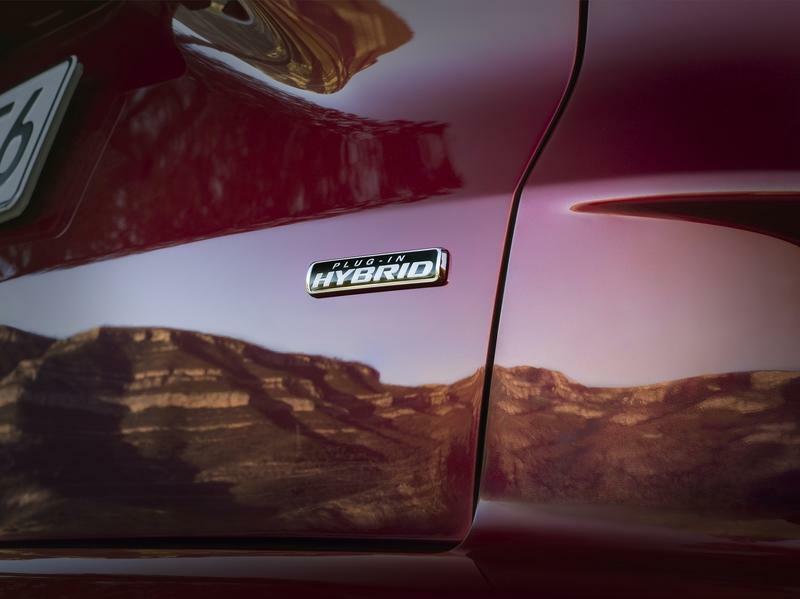 The full hybrid is also front-wheel drive, while all-wheel drive will be offered at a later date some time in 2020. The 2020 Ford Kuga Hybrid will up against the Nissan Qashqai, the Kia Sportage, and the Hyundai Tucson in the electrified crossover segment. 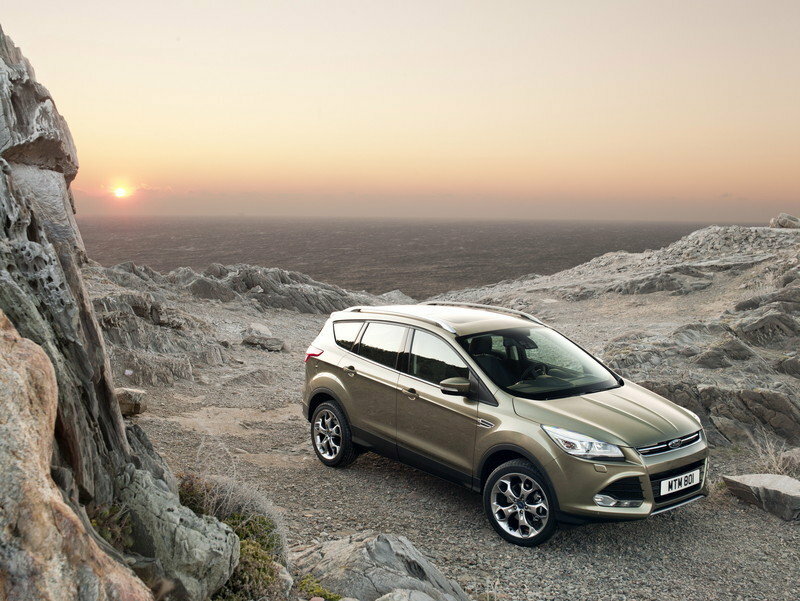 The 2.0-liter Kuga EcoBlue diesel produces 187 horsepower, while the 1.5-liter EcoBlue diesel produces 118 horsepower. The petrol-powered EcoBoost options include either 118 horsepower or 148 horsepower, both of which are derived from a 1.5-liter three-cylinder engine. Interestingly, the three-cylinder also includes a cylinder deactivation feature for even greater efficiency. Transmission options include a six-speed manual and an eight-speed automatic, with gearbox availability depending on the powertrain option you select. 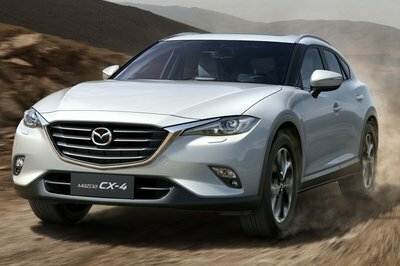 The same goes for the drive type, with front-wheel drive equipped as standard, and all-wheel drive offered as optional on select models. 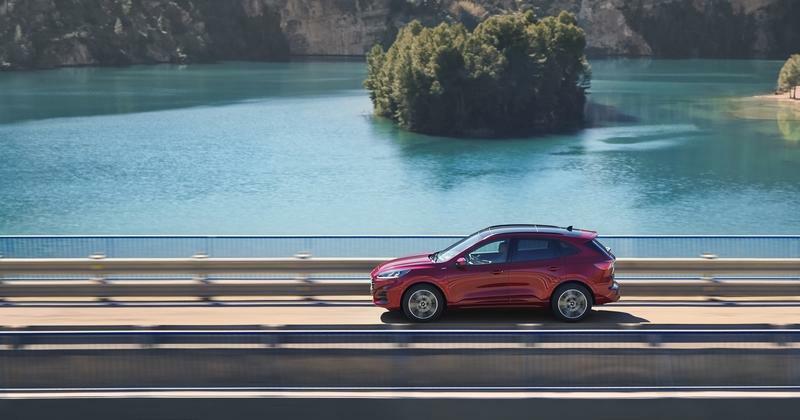 What’s more, the 2020 Ford Kuga can tow up to 2,250 kg (4,960 pounds) depending on the configuration, and it comes with an optional electrically retractable tow bar. 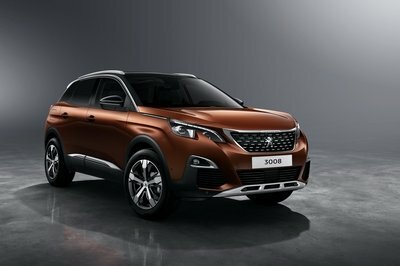 For comparison, the Nissan Qashqai can tow 1,200 kg (2,646 pounds), while the Peugeot 3008 can tow 1,300 kg (2,866 pounds). Take away the updated body panels, and you’ll find the 2020 Ford Kuga is built on Ford’s new C2 architecture. 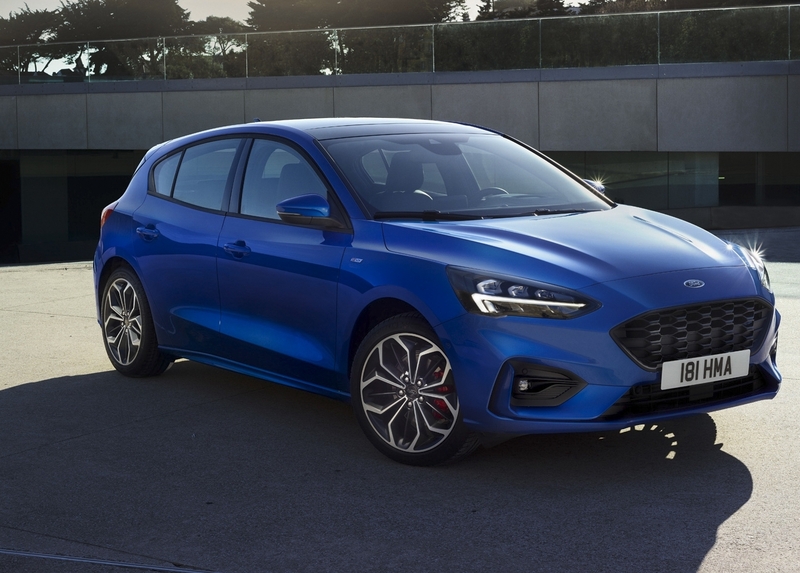 It’s the same platform as the Ford uses with the new Focus, and it offers 10 percent greater rigid than the outgoing Kuga, as well as 90 kg (198 pounds) less weight. What’s more, the C2 platform helps Ford accommodate a huge variety of powertrain configurations, as outlined above. The 2020 Ford Kuga will be offered in a variety of trim levels, including the Titanium, the ST-Line, and the Vignale. The 2020 Ford Kuga will go on sale in early 2020. Pricing is estimated at £24,000. 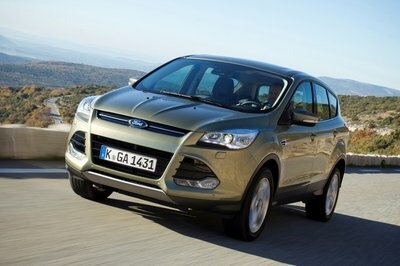 Read our full review on the 2012 Ford Kuga. 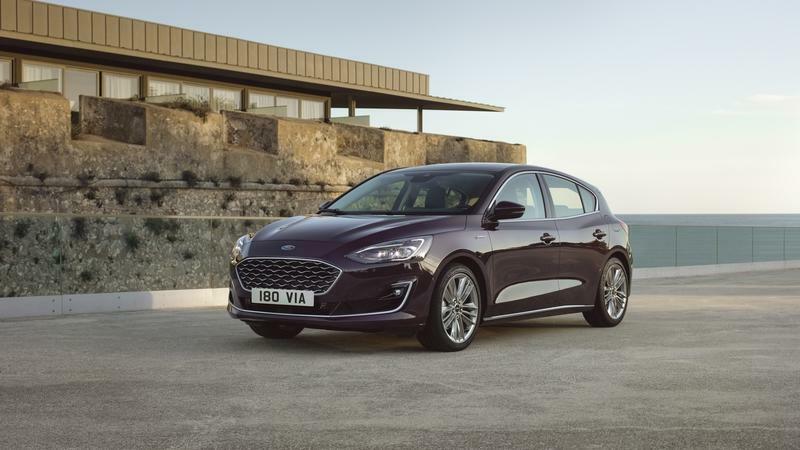 Read our full review on the 2019 Ford Focus. Read our full review on the 2017 Ford Fiesta.